Book reviews are back! I definitely fell off the bandwagon on this series. I think in general my life gets totally out of whack for several months before and after a PCS, and one thing I really slacked on this go-round was reading. It always makes me sad when I go through reading lulls. I was that kid who had three books going at once and actually got yelled at to put the book down and go to sleep. As an adult, I’m one of those people who never fully got on board with reading on a tablet or e-reader. I still like holding a hard copy in my hand. 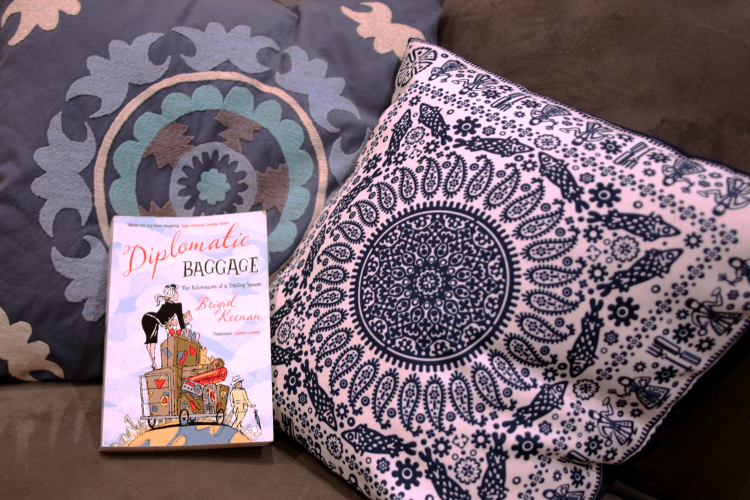 When we went to Bratislava, Budapest, and Vienna last month I finally picked up Diplomatic Baggage: The Adventures of a Trailing Spouse by Brigid Keenan. Whenever I’ve seen recommendation lists of books to read for this lifestyle, this one is always at the top. I’ve made it clear how I feel about advice books for trailing spouses that make ridiculous assumptions (looking at you, Unpack), so while I was excited to dive into this one, I approached it with a heavy amount of skepticism. 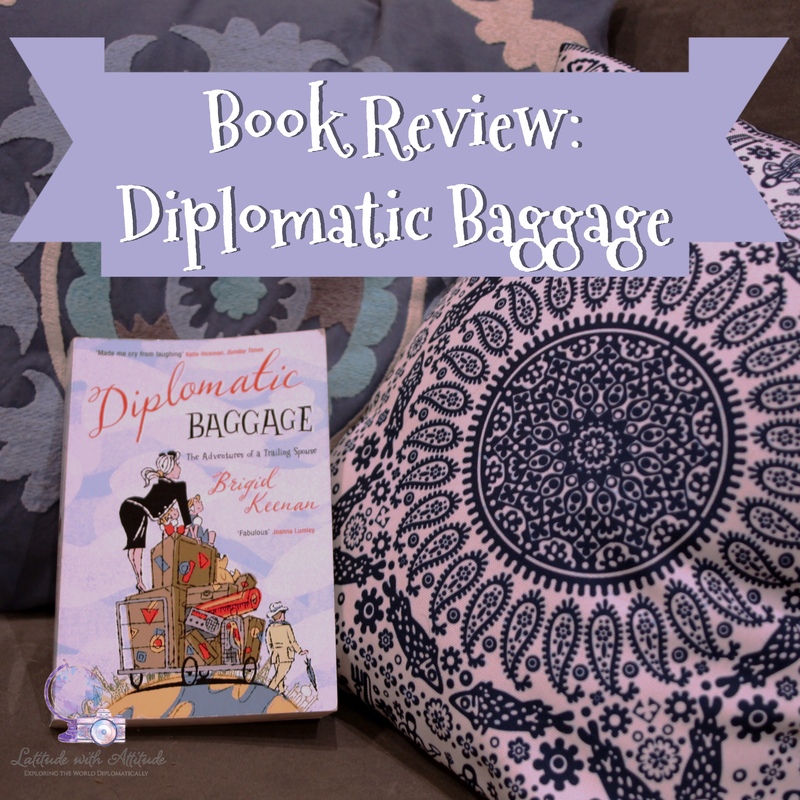 Thankfully, Diplomatic Baggage isn’t about throwing advice in your face. It’s about real life as a trailing spouse. The book opens a few days after Brigid joins her husband in Kazakhstan – a place that hits close to home for me – and she’s miserable. Homesick. Bored. Can’t speak the language. Doesn’t know anyone. And, of course, jet-lagged out of her mind. There’s no glossing over any emotions here. It’s real, raw, and paints an accurate portrait of what a fresh PCS feels like. The reader tags along with her as she tries to get her bearings in an unfamiliar place as she experiences moments of defeat, excitement, elation, and determination in those first few weeks. What I especially love about this opening chapter is knowing this isn’t her first or even her fourth PCS. Brigid is a seasoned trailing spouse at this point and is STILL experiencing hard times in the transition. For me, it helped normalize those feelings all over again. The book then journeys back in time to all her previous overseas experiences that span about thirty years from the 1970’s to the early 1990s. While, at times, it does feel a bit dated, some things never change. Frustrations with technology, diplomatic protocol, overworked spouses, and struggles to find a place for yourself in your new surroundings. While at no point does Brigid ever forcefully offer advice, bits of knowledge are artfully woven throughout the book in a way that doesn’t feel preachy. I particularly loved these two bits of guidance: 1) make the house your home as quickly as possible; and 2) always have something to do on Mondays. I’d recommend this book highly to any foreign service spouse. It feels like a friend you can turn to, confide in, and laugh with as you struggle to figure out your way in the world.